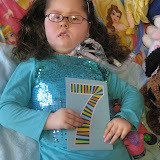 2-2-13 Happy SENSATIONAL SEVENTH Birthday Ally!!!! Today is Ally’s SEVENTH Birthday!!!! This is a HUGE Milestone for a little/big girl with Spinal Muscular Atrophy Type 1. When Ally was diagnosed at 5 months old, medical books gave a life expectancy of less than 2 years. I have a fighter and brave girl though and only God is in charge of how long we are on earth. I am so proud of Ally and all of her accomplishments over the last 7 years. We have had many trials, but the positive FAR outweighs the trials. She over and over again teaches me so much about courage, love, faith… and we’ve seen so much good and amazing things in others who we’ve met because of Ally and SMA. I won’t lie, I really, really want SMA to be cured and not affect any child again, but I am blessed to be given strength to raise my angel here on earth. I also admit I have my tougher times too. Early on in Ally’s diagnosis, we were told that SMA stands for So Many Angels and there are many SMA angels here on earth and in heaven teaching many of us life lessons. Each birthday brings a big mix of emotions, but I’m trying my best to focus on all the positives of my Angel Ally reaching 7 years old and hopefully MANY, MANY more birthdays to come!!!! 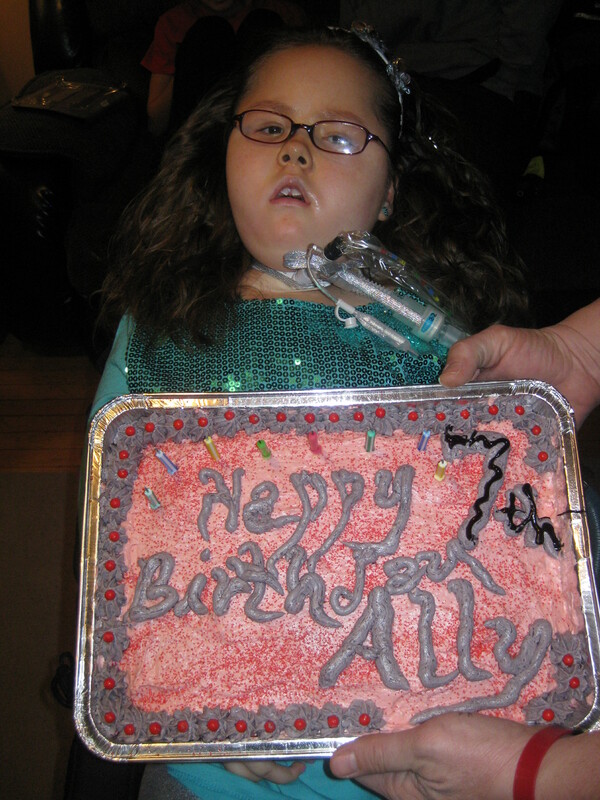 Here’s a link to our picasa site of Ally’s Birthday pictures too!!! There are lots of other albums of special times over the last 7 years too! 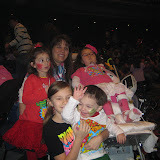 Click on the album to see ALL the pics and a short video..
Also, wanted to add one more album from mid January from our outing to the Yo Gabba Gabba concert thanks to our friend Tracy who bought us tickets as a Christmas gift and thanks for passing our clothes on to her daughter. There’s a really cute video of her daughter Nicole who was invited on stage. We were also SUPER lucky to do a Meet and Greet with the cast. Thank you to Akoo Theatre Manager for making this happen! They even let us in early before anyone else and Ally got an autographed picture from DJ Lance Rock. Thanks again Tracy and Akoo Theatre for being helpful and kind!! !